Raj Kapoor's Sangam is difficult to watch for several reasons. First, our copy was as tattered as a DVD gets, and, pampered as we are, this gave us a bit of an impatient, wandering eye. Second, the film is a mammoth three point five hours long, hence meaning we are forced to watch it in installments like some sort of ancient soap opera. Third, and most importantly, once you get involved in the story, you wish you hadn't. It's like a car crash. You want to tear yourself away, but you just can't. Gopal and Radha, being chased by Sunder. Sangam focuses on the love triangle between childhood friends: Sunder (Raj Kapoor), Gopal (Raj Kumar), and Radha (Vyjayanthimala). Both boys have had a lifelong infatuation with Radha; even as children they competed for her attention. Gopal is the quiet, sturdy one, whereas Sunder seems the more vulnerable and immature of the two. As adults, Sunder still plays pranks on his two friends, demanding attention with a high-pitched whine. He still corners Radha in the bushes, declaring his love and willingly blind to her discomfort. In fact, his behavior towards Radha borders on stalkerish, yet as uncomfortable as she (and we, the audience) feels, both she and Gopal force smiles and accept that Sunder's just being Sunder. Raj Kapoor, the old Hindi movie idol. Things get complicated when Radha develops feelings for Gopal. Gopal, feeling obligated towards Sunder, skirts around the marriage issue and instead suggests Sunder as a possible groom. Everyone - from Radha to Radha's parents - is appalled. "There's no way I'm letting my daughter marry that oaf!" Radha's father declares. When Sunder gets news of the rejection, he promptly decides to make something of himself and hence joins the Indian Air Force. When he is believed dead after a suicide mission (apparently there's a war on... uhmmm... ), Radha and Gopal's grief quickly gives way to romance. As perverse as it sounds, they are finally free of Sunder's suffocating presence, and they can finally live the life they want to live: together. After two years of courtship and bliss, Gopal decides to ask for Radha's hand. And on that very day, everyone learns that Sunder is actually alive and on his way home. Radha is thrilled, Gopal is not. His obligations of friendship with Sunder tie his hands, and he feels he can't marry Radha anymore. Radha is, naturally, infuriated. And (thank God) she quickly jumps to the thing that all girls should be thinking right now: Why is it that only the men's feelings and relationship count? Why can she be tossed aside like some doll caught in the emotional diplomacies of two men? I mean, WTF? Gopal, however, doesn't hear her (naturally), and instead quickly steps back into the shadows and lets Sunder, now a celebrated war hero worthy of parental approval, step in and marry Radha. YES, IT APPALLED US TOO. Anyway, Radha, like so many heroines in Hindi cinema who are stuck in loveless, forced marriages (Paro in Devdas... Jaya in Silsila... Jaya in Kabhi Kabhie... Rani in Paheli...), tries to make the best of it. And Sunder's absolute joy at being with her is a little infectious. Add to that the pretty sweet honeymoon gallavanting around Europe and, well, she begins to sort of like him a little. (This being the man she earlier called ugly to his face. The man whose airplane she chased screaming, "Look, don't get the wrong idea, but I don't love you!") Love it may not be, but a certain affection develops. And yes, we too were feeling conflicted. 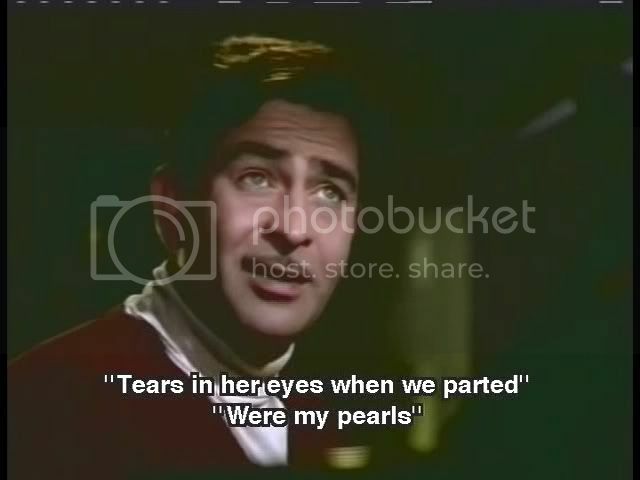 Especially since, by this point in the film, Raj Kapoor's acting histrionics had calmed down considerably and he really did become more attractive. The obligatory Swiss scenes. Did Yash Chopra watch this movie? Hey look, it's a young Iftikhar. This man is in everything. Sunder, however, remains ignorant regarding Radha and Gopal's old romance. So he invites Gopal to visit them in Europe, and is surprised when Gopal and Radha both cringe at the idea. Once back in India, things degenerate even further: Gopal starts avoiding Sunder. For a man who claimed that he couldn't live without the love of Radha and the friendship of Gopal, this hits Sunder hard. And when he finds one of Gopal's old unsigned love letters to Radha, you can see that it's a train crash coming. It's like they took a bread knife and stuck it in our heart, swirling around. And then they patted it with salt. And lemon juice. And put everything in a blender. And emotionally blackmailed us. Much of the success of the film rests on the three leads' excellent peformances. We at the PPCC were looking forward to watching some Raj Kapoor and finally seeing what all the fuss was about, and generally he delivered. The early "oafish" Sunder scenes were a bit cartoonish, and for a while we wondered what all the fuss was about after all. 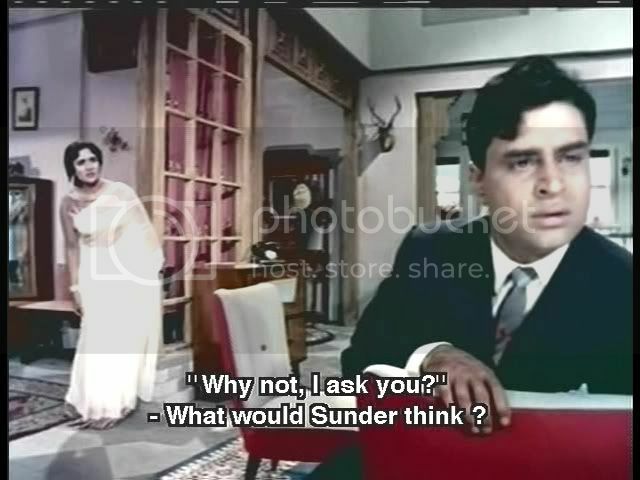 But once Sunder returns from the dead, Raj Kapoor reins in his energy and becomes much more realistic and effective. We have to note how expressive his face is, too; his eyebrows are like live caterpillars, look at them! And as flamboyant as Raj's Sunder is, Raj Kumar's Gopal is just as evocative despite being a much quieter role. Gopal could have easily become wooden, just as Sunder could have easily become annoyingly over the top, yet both actors balance things just so - leaving the PPCC Committee constantly wavering in our devotion. They were just too human; impossible to place as hero and villain. Vyjayanthimala was also excellent as Radha, squeezed in the middle of these two, basically narcissistic - or at least patronizing and chauvinistic! - men. She was wonderful in capturing that feeling of angered helplessness when the two Rajs debate her fate, and we have to commend her as well for making her growing conflict - do I like Sunder after all? - believable and bittersweet. The main theme, Dost Dost Na Raho. Notice how everyone has an emotional breakdown by the end of this song. The music was nice as well, with some songs standing out as obvious classics. 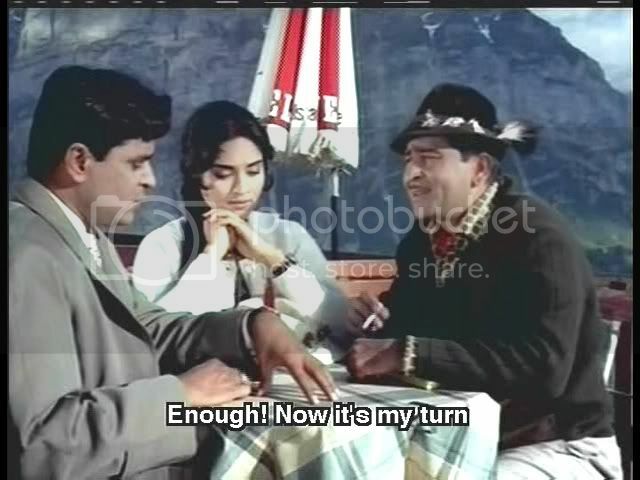 Bol Radha Bol was fun, in that old, 1960s way, but Dost Dost Na Raha - almost overused, but not quite - captures the tragic emotional entanglements very well. Our favorite was also Radha's cheeky I Married an Old Man song; apart from being fun and cute, it was also touching in that it's our first glimpse into a marriage getting a bit happier. Too bad there's a train crash up ahead! Eject, eject! Hurray! I finally found somebody who reviewed Sangam! Thank god for that, it's not such an unknown movie after all! I just watched it, and wondered if anyone had heard of it! Am I right to say that you try to find good points about it, but don't quite succeed? I recall you were so enthusiastic about Awaara... Sangam didn't touch you as much it seems. 2. "Raj Kumar's Gopal" ??? 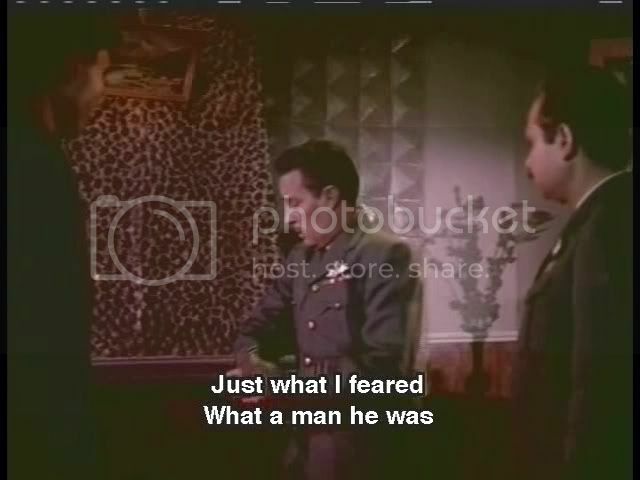 It is Rajinder Kumar (Jubilee Kumar as he was known).